Cosmetic dentistry involves improving the aesthetics of your teeth, whether that’s by means of teeth whitening, fillings, veneers or crowns. There are numerous techniques and procedures used in cosmetic dentistry. Many people will ask for cosmetic dentistry because they are unhappy with their smile and want a “smile makeover”. At Smile Solutions we understand how your smile can affect your self-confidence and we love nothing more than helping our patients achieve their dream smile. Cosmetic dentistry is not all about aesthetics, though; it also helps with functionality, improving your bite and/or replacing damaged teeth so that you can chew and speak more effectively. At Smile Solutions we have an experienced team of clinicians who are skilled in all areas of cosmetic dentistry. They practise from a single location, enabling them to collaborate on patient cases and benefit from peer review. This ensure you receive continuity of treatment and the highest quality personalised care. Procedures used in cosmetic dentistry include: teeth whitening, laser dentistry, porcelain veneers and crowns, and CEREC porcelain fillings. Teeth can become discoloured due to various factors, including age, poor dental hygiene and diet. While regular brushing and flossing, as well as professional cleaning by a dental hygienist, can help keep your teeth in good condition. To keep them looking beautiful you could also have them whitened. 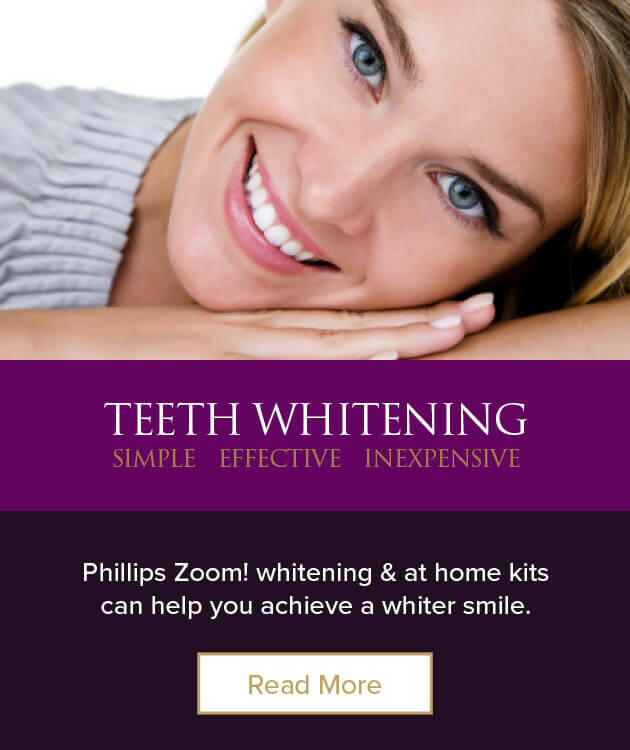 Here at Smile Solutions we offer two options to whiten your smile: at-home whitening and in-chair whitening. 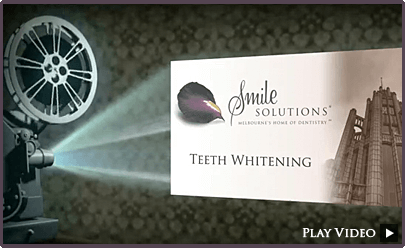 The teeth whitening systems that we offer at Smile Solutions for use at home involves a mild bleaching gel in a custom-fitted tray worn over your teeth. This process allows you to whiten your teeth in the comfort of your own home –either while you sleep by using our Night White system or for half an hour twice per day by using our Day White system. For those who want more immediate results, our one-hour Zoom! whitening system is available. This system allows you to have your teeth whitened by six to eight shades in just one session with one of our dentists. 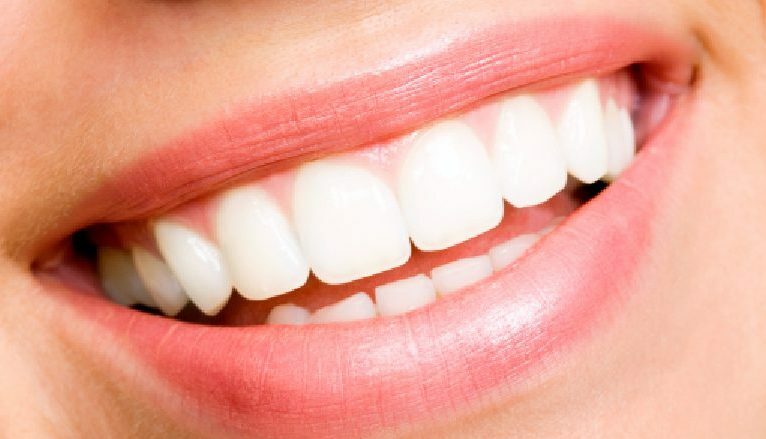 More information about our teeth whitening treatments is available on our teeth whitening page. Veneers and crowns are restorations designed to improve both the aesthetics and function of damaged teeth. 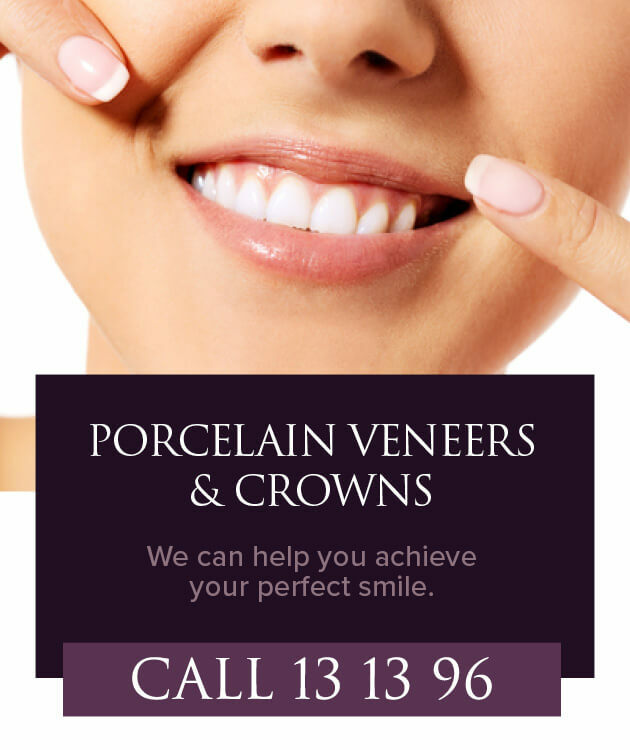 Porcelain veneers are a long-lasting and popular restorative dental treatment. They are custom-made shells applied to natural teeth for the dual purpose of adding strength and beauty. They can provide protection to teeth that have been chipped, broken or treated with root canal therapy. Root canal–treated teeth not only can be more fragile but also can become discoloured over time, which is where the aesthetic function of these veneers comes in. Dental crowns are used for heavily repaired or broken teeth, discoloured fillings and teeth weakened by root canal therapy. Sometimes referred to as a cap, a dental crown is permanently bonded to the tooth to improve its look and function. Another long-lasting restoration option, a crown can last up to 15 years or more if properly maintained. 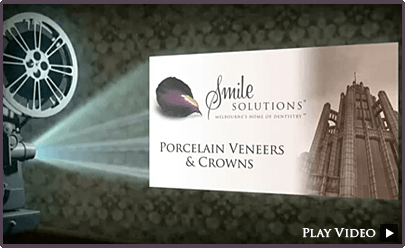 Visit our porcelain veneers and crowns page to read more. CEREC porcelain fillings enable damaged teeth to be restored in a single appointment using a high-quality ceramic material that matches the colour, function and strength of natural teeth. CEREC fillings also wear just like a natural tooth, often lasting up to 15 years and longer. These fillings are aesthetically superior to conventional fillings, which can lose their colour and lustre over time. Because CEREC porcelain fillings resemble the look of your natural tooth more closely than other fillings, cosmetic dentists prefer them for patients concerned about the appearance of their teeth. 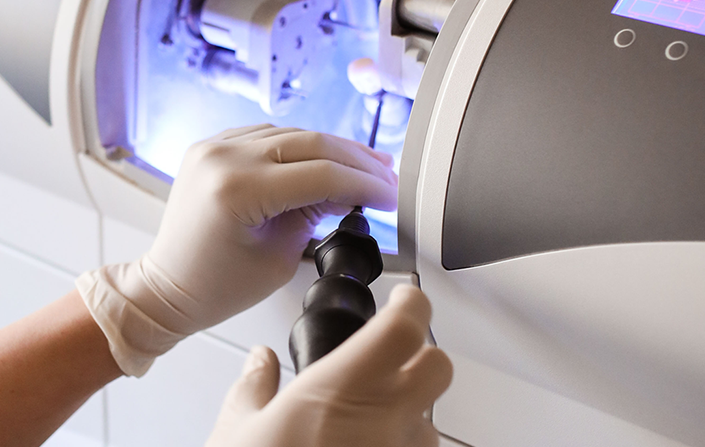 To find out more about CEREC porcelain restorations visit the CEREC porcelain fillings page. Laser dentistry offers a solution for patients who dislike drills, relieving much of the anxiety some people associate with dental procedures. It can also allow for a better quality of treatment and healing than was available in the past. Thanks to laser applications such as Versa Wave, Light Touch ErYAG, iPlus Biolase and Fox diode, laser technology can play a role in a variety of cosmetic dentistry procedures, such as teeth whitening and gum lifts, to improve the look of your smile. Fillings are a common restoration method; and because of the accuracy lasers afford, laser fillings are becoming more commonly used by cosmetic dentists to restore teeth that have been damaged by decay. Unlike conventional drills, laser does not cause tiny cracks and it removes only the decayed part of a tooth, leaving healthy tooth structure intact before it is filled. Gum disease, as well as being a threat to overall dental and bodily health, can lead to unpleasant-looking gums. Laser can be used to remove inflamed gum tissue and offer a faster and virtually pain-free option for many soft tissue procedures that would otherwise have been performed with a scalpel and local anaesthesia. Your gums are the tissue that frames your teeth, so you want them to be as good looking as your teeth. Laser gum lifts create a harmonious gum line as a backdrop to your smile. A laser gum lift across your front six teeth would require you to spend less than half as much time in the dental chair as conventional surgery, and the procedure allows for a predictable outcome. Our laser dentistry page has more information available for you to read. Dental implants are sometimes used for cosmetic reasons, such as replacing a missing tooth so as to close a gap in your smile. Orthodontics is another branch of dentistry that can be used to improve your smile – typically by straightening /repositioning your teeth as you desire. Smile Solutions is unique in offering multidisciplinary care under the one roof with full peer review for the best possible outcome. For more information on these specific treatments, visit the dental implants and orthodontics pages. At Smile Solutions we put a lot of focus on prevention; that’s why we have a team of hygienists dedicated to achieving and maintaining oral hygiene and gum health to better show off your improved teeth. Regular dental appointments are a crucial part of the ongoing health of your teeth and gums. In addition to brushing and flossing every day, you should have your teeth professionally cleaned twice a year. Depending on the cosmetic dentistry treatment you are having, there may be special after-care requirements and your cosmetic dentist will take you through these. A home care routine may be recommended for you, along with follow-up appointments to monitor the treatment progress. Specific post-treatment care is available on each of the procedure pages. Who Would Conduct my Cosmetic Dentistry Procedure? 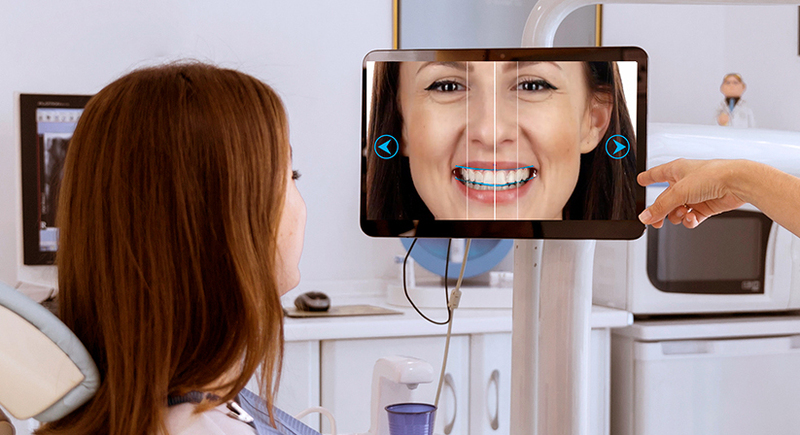 At Smile Solutions we have an experienced team of cosmetic dentists and Dental Board–registered specialists, as well as our resident prosthetist, who work together with our dental hygienists to help achieve your ideal smile. Cosmetic dentistry often involves multidisciplinary treatment by several different clinicians. At Smile Solutions our patients can receive their entire treatment from all of these clinicians under one roof, without having to leave the building. In addition, this allows for peer review and consultation among the participating clinicians, meaning that they plan your treatment collaboratively and are all fully apprised of the stages of your treatment carried out by their colleagues. 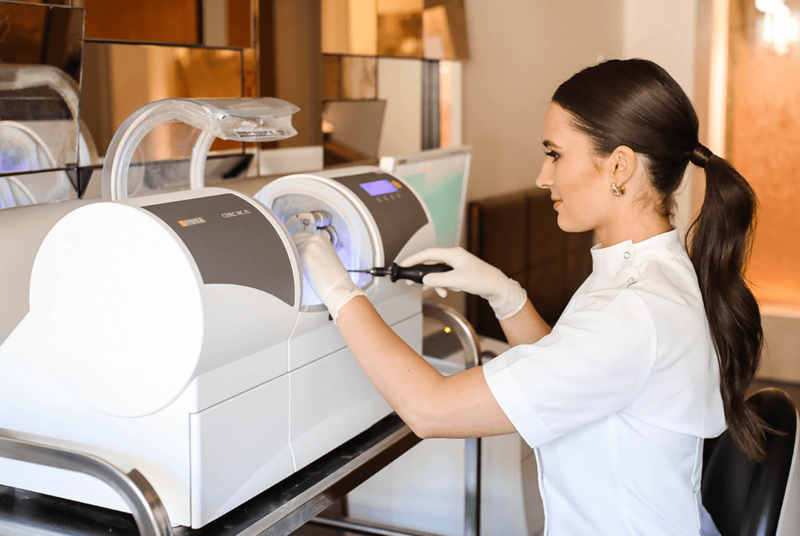 In addition, the scale of our practice has allowed our team of clinicians to share the cost of equipment, meaning we can afford the most advanced technology and the highest quality dental tools. This in turn promises you the best possible results, whether in teeth whitening, gum lifts or any other treatment you require. 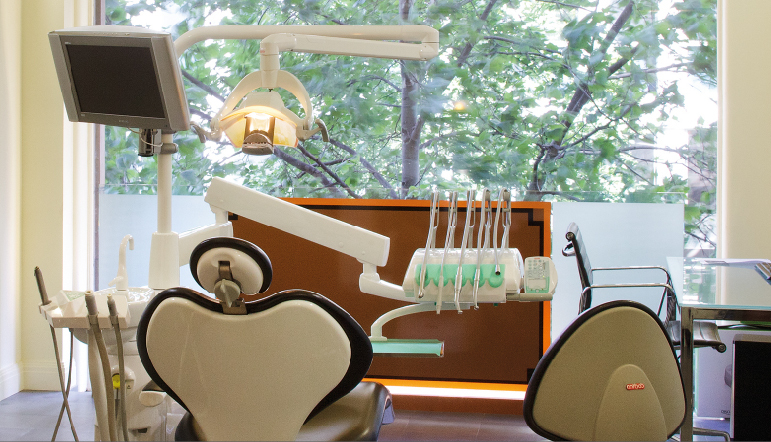 Finally, at our location in the magnificent Manchester Unity Building, your cosmetic dentistry needs will be attended to in a visually beautiful and serene environment that offers plenty of natural light and great views over Melbourne. Our welcoming atmosphere and staff will help put you at ease while you enjoy the highest quality treatment available.